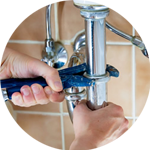 Finding a reliable Plumber in Lambeth can be taken care of by the Handy Squad. Since 2005, we have been providing an exceptional level of plumbing services, taking a customer-centric approach with everyone we serve. 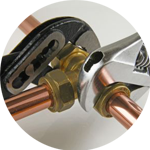 The longevity of our unparalleled services have made us the best London Plumbing service around. 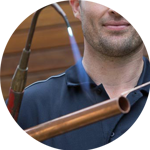 Our team of expert plumbers have undertaken a wide variety of plumbing issues, giving them the rounded knowledge to complete work in a timely manner and at fair prices. Your Plumber in Lambeth will be able demonstrate how to change taps, how to fit a washing machine and how to unblock a shower. 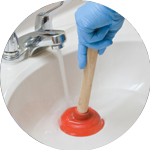 We also provide handy installation for anything related to sink waste disposal. 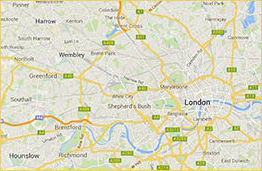 Lambeth is a Borough within the south of London. There are a number of notable landmarks within the South Bank area, which includes: the London Eye, County Hall and the National Theatre. The Handy Squad offers a multitude of other trade services besides Plumbing in Lambeth. We also have a Handyman in Lambeth, who will be able to draw on their impressive skillset to ensure any generalised DIY tasks can be completed. They will be able to offer assistance with anything that relates to: flat pack furniture assembly, kitchen tiling and odd jobs services. Electrical issues can also be handled by the Handy Squad, since we have a highly-trained and efficient team of electricians currently operating within Lambeth. Your Electrician in Lambeth will be able to help with: fault finding and repairs, changing light bulbs, socket replacements, installing new switches and electrical installation condition reports.